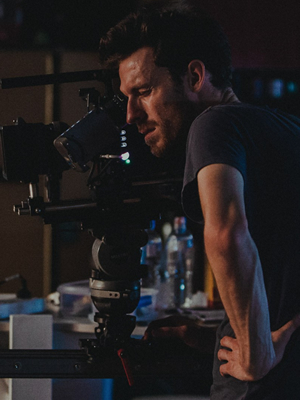 Lewis Potts is a West Australian based cinematographer working in the Film & TV Industry. With over 8 years’ experience, Lewis’ portfolio includes TVC’s, branded content, music videos, short films, corporate videos and documentaries. His ability has been recognised through the WA Screen Award winner for ‘Best Cinematography’ for his work on the short film ‘We Were Here’. Lewis’ style, speed and positive attitude towards every production has made him an in-demand cinematographer by existing and new clients, On a commercial scale, he has worked with a variety of companies, ranging from Tourism Perth, Universal Music, VICE, HBF, and Bankwest. His work has been showcased at numerous film festivals, St Kilda Film Festival, CinefestOZ, Revelation Film Fest, The French Film festival: Festivaldes Antipodes. He is currently a guest lecturer at Edith Cowan University, and guest mentor at central TAFE West Australia. Lewis holds a Diploma of Film & TV, has attended the ASC Masterclass in Los Angeles and is a proud member of the Australian Cinematographers Society.